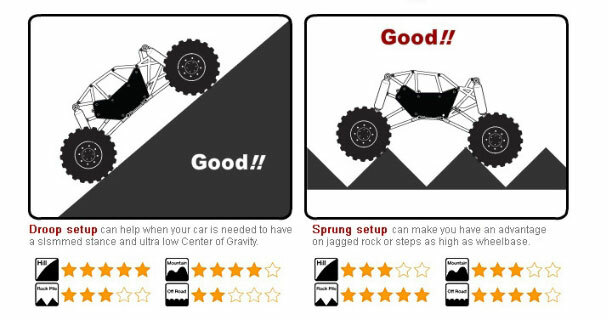 The R1 Rock Buggy is a shaft driven crawler that replicates the look of a high performance rock buggy, and delivers performance that makes it a capable scale recreation of the real thing. The moulded composite tube frame features an incredibly realistic appearance, and clear lexan body panels allow you to add a personalized touch to your rig. But this design does more than look the part, it provides protection to your electronics, and keeps everything safe when you tumble down the rocks. Other notable features include tough universal slider shafts that deliver the power from the transmission to the unique 'Portal' high clearance front and rear axles. 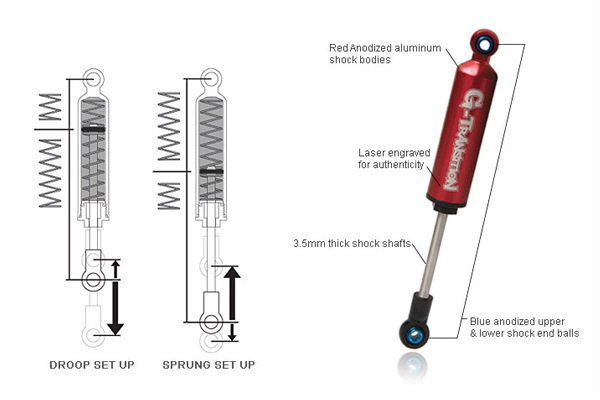 Plus, with a fully sealed transmission, the awesome G-transition shocks, and standard 2.2 size wheels, the Gmade R1 is destined to become a standard in the world of rock racing crawlers. This version of the Gmade R1 is sold in kit format (requires building) and with a clear bodyshell for those who want to design their own rig. 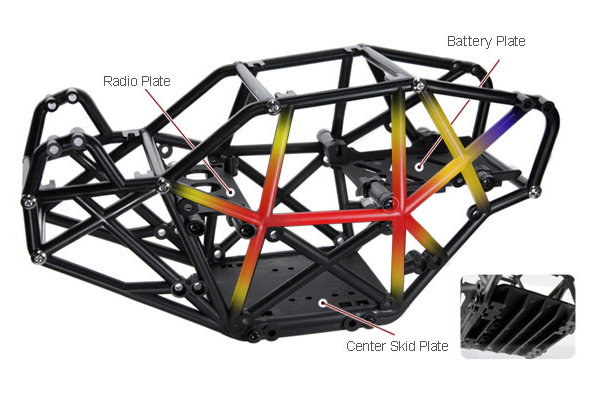 The one-piece graphite axle housing is made of high strength plastic for maximum durability and easy maintenance. Inside, both front and rear axles have solid differential gears to provide a stronger driving force in any driving conditions. The gears are protected by a glossy metal cover for added scale realism. 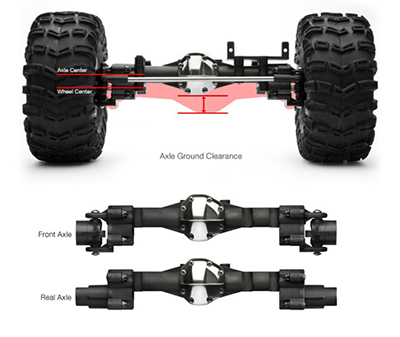 Portal axles simply mean the drive axles are above the center of the wheels. This gives theR1 greater ground clearance beneath the axles than other trucks using the same tyres. The perfectly sealed R1 transmission is dust proof. 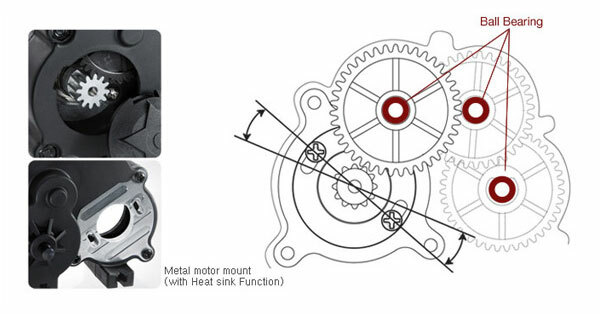 Full ball bearings are placed at all axis of the gears. You can also adjust the gear mesh backlash exactly the way you want because the motor mount cap can be opened and closed for you to see in. 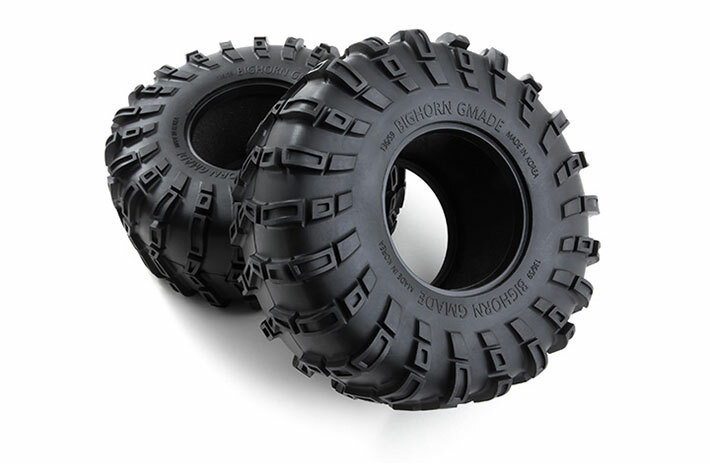 The Bighorn tyre is made of a super soft compound which is designed to provide high grip over all kinds of terrain. The large diameter enables it to run smoothly on uneven road surfaces and with large deep lugs provides exceptional traction over rock, mud, and dirt. Required for completion: 2-Channel radio system & high torque steering servo, 540 size rock crawler motor & ESC, Battery pack & compatible battery charger, Pinion gear & Paint for the clear body panels. Scale Crawler Axial WRAITH RTR Rock Racer Bouncer AX90018 4x4 4WD 10th RC 2.2"